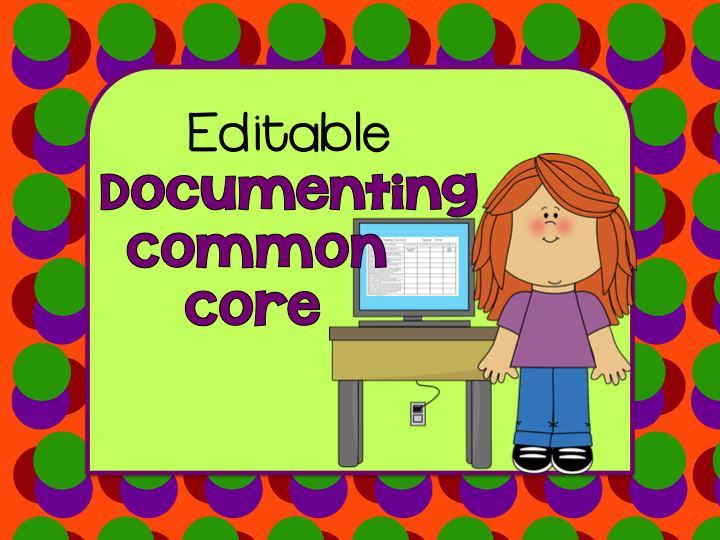 My newest project is making editable Documenting Common Core packets. 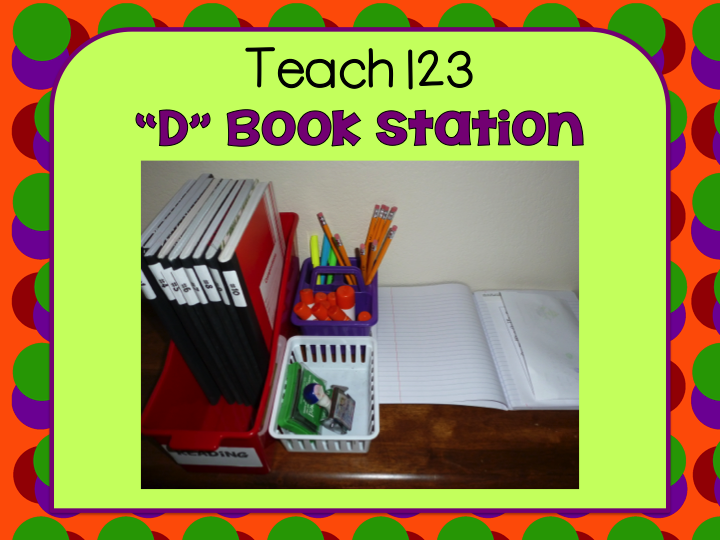 Management tip: Set up a “D” book station. After students complete their assignment, they go to the station, locate their “D” book, turn to the next page, glue the assignment in their book, stamp it with today’s date, glue the standard at the top of the page, and write the date on the Common Core chart that is located in the front of the book. Make a stack of books and tell your students to leave the book open to the page they added so it’ll be easier for you to grade. Not everything will be an worksheet that you include in the “D” books. If you are doing an activity, take a picture, give the students a copy of the picture to glue in their book, and then have them write about the activity. Put students in alphabetical order and assign each student a number. Number labels are included with this packet. You can print them on label paper or plain paper. If you use plain paper you will need to cut and glue them to the books. I put a piece of shipping tape over it. 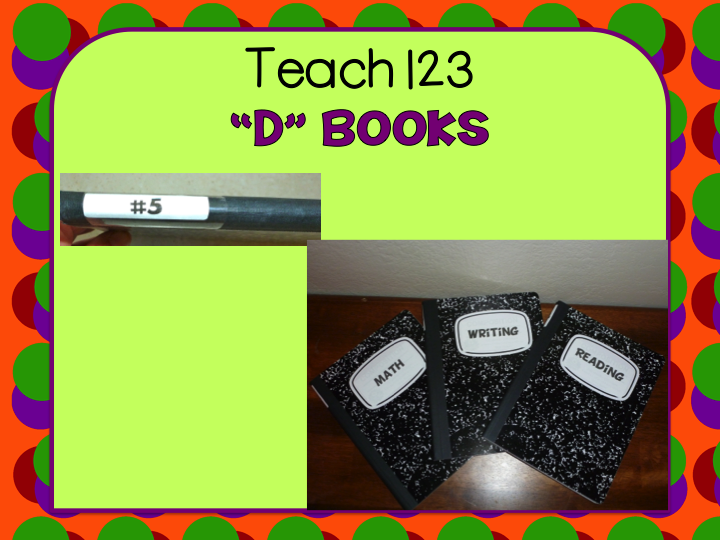 You or a student helper can put the “D” books in number order so you can quickly see who has not turned in his/her book. 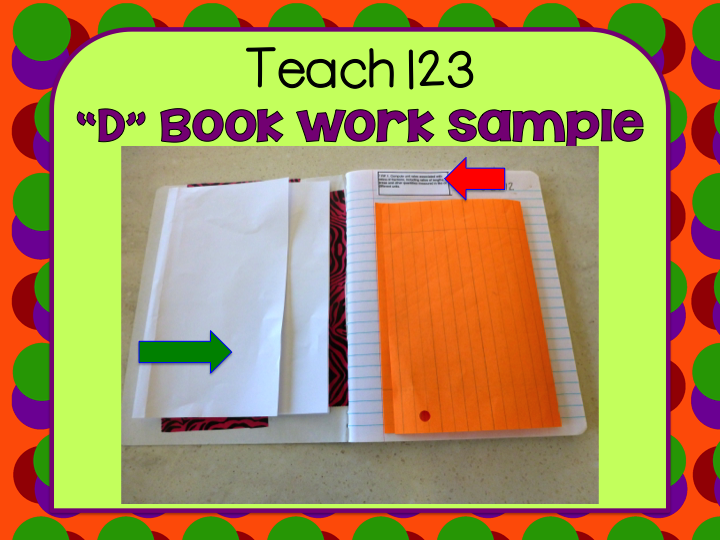 The math, writing, and reading labels are also included with this packet. Here is an example of a student’s “D” book. The orange paper is the student’s assignment. It is folded in half so it will fit. The red arrow is pointing to the Common Core standard. The standards are included with this packet. You can either copy them on label paper or plain paper and then cut and glue them. The green arrow is pointing to the Common Core chart. I used colorful tape so you could see how I attached it to the composition book. 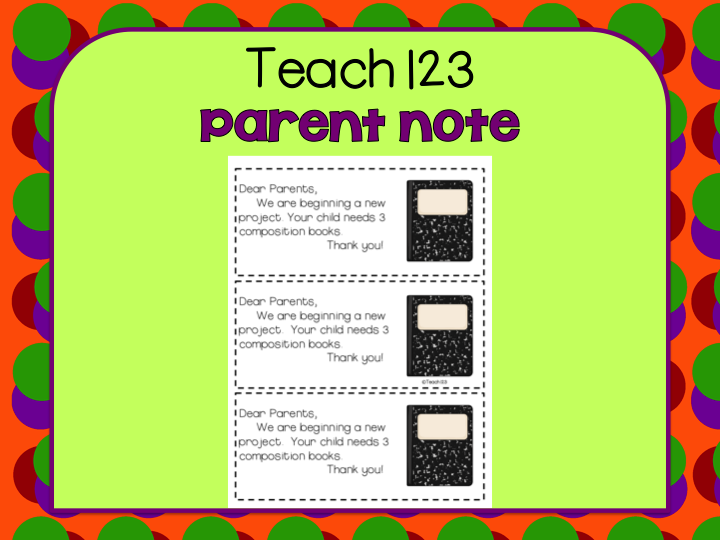 A parent note asking for composition books is included. Documentation doesn’t have to be burdensome. In fact, in can be helpful. 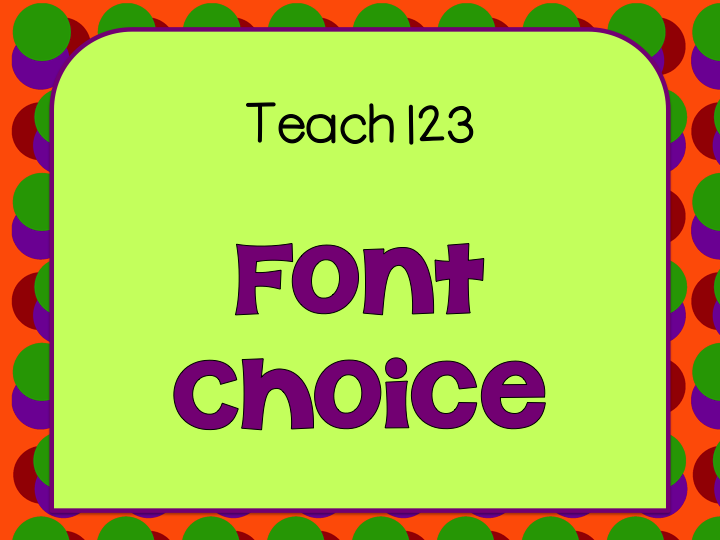 Use a format like the one above and below to guide you when you are planning your lessons. 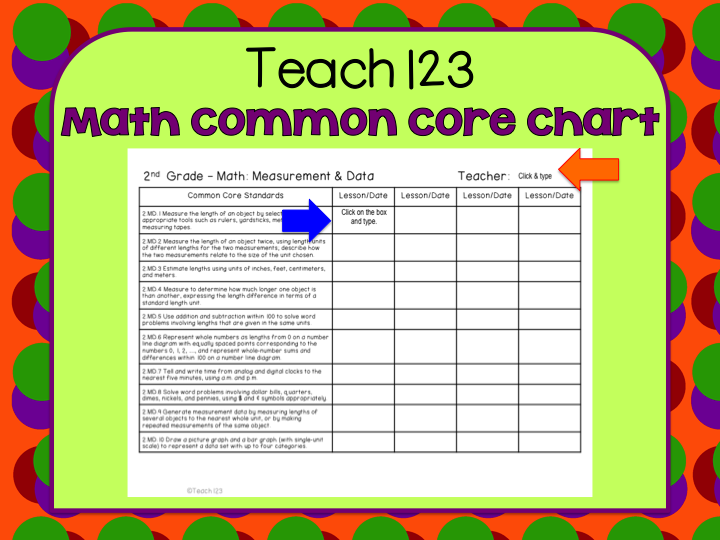 Instead of writing each standard number in your lesson plans, write the date of the lesson/name of lesson on the chart. Granted, you will teach many of these standards more than 4 times but, with this system you know that you’ve taught all of your standards at least 4 times. With a quick look, you can tell which lessons you haven’t taught yet or which ones you’ve only taught once. When planning your lessons, these are the standards to focus on. This packet comes with editable charts and a PDF version of the chart. The colorful arrows shows sample text boxes with words. You can click on the blank boxes to begin typing in those. You can also print off a copy of the charts with the PDF version. You can use this different ways. 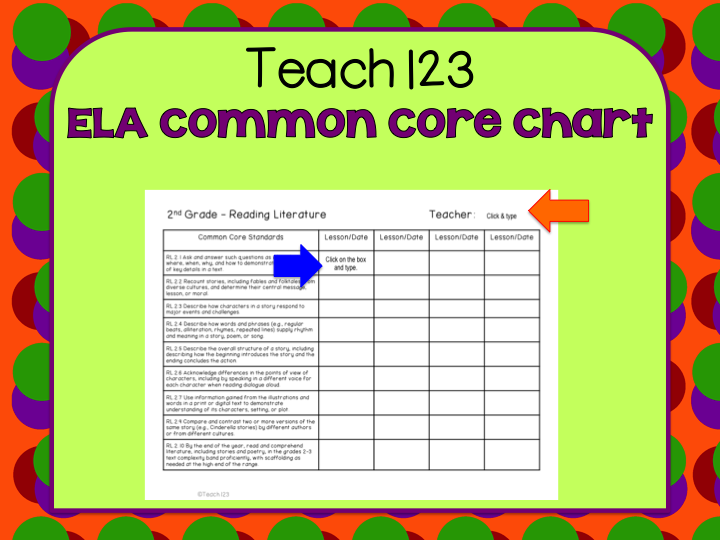 With older students, they can attach a copy of the chart in the front of their “D” books so they are responsible for their own documentation. You can print copies of the chart on colorful paper. Use a different color each grading period. Keep these copies in your lesson plan book/binder to help with your planning. The default font for the text boxes is Arial Narrow. I assumed this would be one font that all computers would have. I used T123TimeTap font to make the charts. Here is a snapshot of what the font looks like: Click here. After you purchase the packet, email me (teach123.school@gmail.com) and I will send you T123TimeTap for FREE. Be sure to include your TPT screen name and date of purchase in your email. This is a brilliant idea! LOVE, LOVE, LOVE it! I am just getting started with CCSS for 2nd grade. Is this the most up to date of your products? i see you have other 2nd grade CCSS documentation packs on your TPT page. Do they contain the same materials as today's editable's version? I love how hard you have worked to make life easier for other teachers! Thank you so much! Thank you Angela and Jill! Jill, this packet has the same information as my original Documenting Common Core packet except I added the editable pages to this packet.